One of the things that I really enjoy about covering 3D printing on a daily basis, are the questions I get to answer from people who are uninformed about the technology. My favorite question that I am frequently asked is, “What can 3D printing be used for?” I realize that the typical person probably has no clue about the vast array of uses that exist. They have seen stories on TV about medical devices, 3D printed cars and 3D printed houses, but they can’t fathom the majority of the uses available to them though additive manufacturing. The application for 3D printing which excites me the most, is for the preservation of artifacts. No matter how secure museums try to keep their valuable remains, it is impossible to maintain the condition of objects which are thousands of years old. It’s just a part of nature; old stuff breaks down through oxidation, decay, and other non-controllable factors. 3D technology, however, is allowing artifacts to basically be ‘backed up’, in the same way you back up your important photographs on a flash drive. 3D scanning now allows for the virtualization of objects, down to details which the human eye can not depict. This means that objects can be stored in computers as 3D models for eternity. However, what happens when an object is so fragile that it can not even be handled, making 3D scanning not an option? Birmingham City University was recently faced with this challenge. The cross was discovered in the Devonshire Hoard, and was originally a pectoral cross made for the cathedral at Lichfield. When it was dug up, it had a bend in it, and was extremely fragile to the touch. Via photographs, however, the team at Birmingham City University was able to create an exact 3D replica of it, without needing to take comprehensive 3-dimensional scans. “From there, the Solidscape 3D printer produced an exact replica, which can now be used for an up close and personal demonstrations with museum patrons and even schoolchildren,” explained Beard. 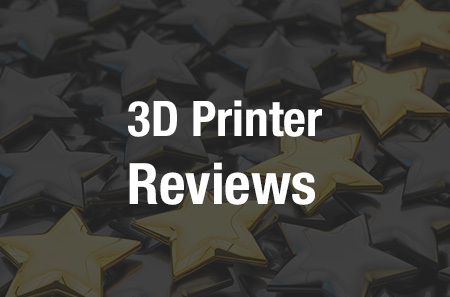 For those unfamiliar with Solidscape’s line of 3D printers, they differ quite significantly from what you are used to seeing with 3D printing technology. Their printers print with two types of wax. One if used for the creation of a support material, which is then dissolved in a liquid solution. The other wax is actually what the object is printed in. Once the support wax is dissolved away, this object is all that remains. Once the wax model of the cross was printed, the team was able to use lost wax casting in order to make a mold around it, melt the wax away, and then replace the wax with a molten metal. Once hardened, the mold was broken away and researchers were left with an almost exact replica of the original Celtic Cross. This is what makes Solidscape 3D printers so unique. It allows for the printing of wax models that can then be directly used in lost wax casting techniques. This is how most of the jewelry you wear today is made, minus the 3d printing. “The two Solidscape machines are very reliable and they are what we consider to be our ‘Go To’ machines,” said Frank Cooper, Technical Manager Jewelry Industry Innovation Centre Birmingham City University School of Jewelry. The 3D printer used by Birmingham City University was a Solidscape T66, although the company recently launched their MAX2 printer earlier this year. Solidscape will be on hand at next weeks Inside 3D Printing Conference in Santa Clara, California. Solidscape VP of Marketing and Communications, Bill Dahl, and Architect and Designer, Jenny Wu, will both be featured speakers at the event, giving insights into how 3D printing is opening up new possibilities for both designers and medical researchers. What do you think? Is this a technology that you think will provide for the preservation of other fragile artifacts in the future? Have you used a Solidscape 3D printer before? Discuss in the 3D printed Celtic Cross replica forum thread on 3DPB.com. Check out the video below, showing the process in which the Solidscape 3D printers fabricate objects.